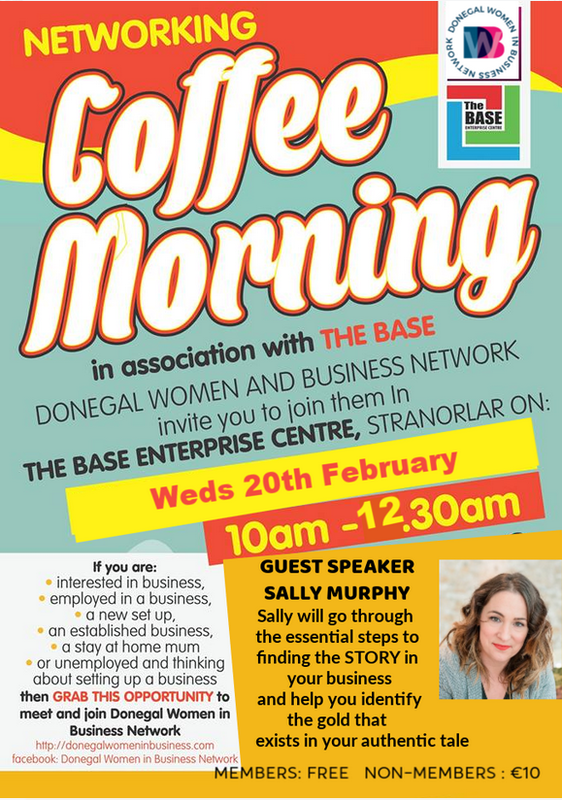 We are delighted to invite you to our next Donegal Women in Business Network event – a networking coffee morning, in association with our friends in The BASE Stranorlar. The BASE is the administrative home of our Network and is centrally based in the heart of County Donegal. 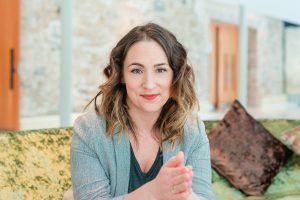 Sally Murphy is a communications consultant who specialises in creative strategy and business storytelling. She set up her company Murphy Communications in August 2016 as a side-project to her full time job. In January 2018 she took the leap, left her job and began to run her business full-time. She hasn’t looked back since. Today she feels privileged to work with entrepreneurs,SME’s, local government and corporate clients who wish to tell the story of their business, project or service brilliantly. The Murphy Method introduces people to the importance of story in business. Before you create marketing strategies, or content plans you have to know and own the story of your business. Why? Because humans are hardwired for story, we search for connection and identification. Stories sell, they create context and inspire action. In this talk for the Network, Sally will go through the essential steps to finding the story in your business and help you identify the gold that exists in your authentic tale. You own your story, you ARE your story. But, are you telling it as well as you can? After Sally’s talk there will also be a little time for others to briefly introduce their business, and of course time networking. The Network is open to all women with an interest in business. If you are a mum at home, a student, unemployed, have been made redundant… or only thinking about setting up a business, come along too. YOU are all welcome! Take time to meet other women to network and share ideas and suggestions. If you are interested in joining the Donegal Women in Business Network, please contact us by email us at donegalwomeninbusinessnetwork@gmail.com or visit Donegal Women in Business Network website or our Facebook page.